Sayers and Partners are working in partnership with WWF China, WWF UK, the General Institute of Water Resources and Hydropower Planning and Design, Chinese Ministry of Water Resources to produce a series of technical water publications that bring together experiences and lessons from around the globe on how to better plan and manage our precious water resources. rowing competition for scarce water resources has driven major changes in the way river basin planning is undertaken. This has resulted in a shift away from ‘technical’ approaches designed to maximise water availability and led to more strategic approaches to basin planning. These approaches aim to optimise outcomes by reconciling the competing demands of different sectors of the economy, the natural environment, and society as a whole. Part A includes discussion of the evolution of basin planning and provides a framework for strategic basin planning, including environmental planning. Part B describes some of the techniques involved in basin planning, including conducting a situation assessment, addressing uncertainty, techniques for identifying objectives and balancing trade-offs, and developing thematic plans. Over recent decades the concept of flood risk management has been cultivated across the globe. Implementation however remains stubbornly difficult to achieve. In part this reflects the perception that a risk management paradigm is more complex than a more traditional standard-based approach as it involves ‘whole systems’ and ‘whole life’ thinking; yet this is its main strength and a prerequisite for more integrated and informed decision making. The book provides a historical perspective on the flood events that have shaped modern approaches and describes emerging good practice, including (i) the purpose and characteristics of strategic "Flood risk management, (ii) the goals, objectives and outcomes sought, (iii) the necessary governance frameworks, (iv) the development of adaptive strategies, (v) the relationship with ecosystem services, (vi) the barriers to, and enablers of, implementation, and, finally, (vi) the ‘nine golden rules’ that underpin good strategic flood risk management decision making today. A series of supporting chapters present particular techniques in more detail, including (i) risk and uncertainty analysis, (ii) spatial planning, (iii) infrastructure management, (iv) emergency planning, (v) flood hazard and risk mapping, (vi) the management of "ash "floods and (vii) insurance. Water resources are increasingly a source of tension; a tension that is at its highest during periods of drought. A consensus now exists that a transformational change in our approach to drought management is required – away from an episodic process that reacts to an emergency to a continuous process that proactively manages risk. Although some progress has been made, the transition is only in its infancy. Drawing on experiences from around the world, this book presents a framework for Strategic Drought Risk Management (SDRM). ​SDRM is presented as a coherent and continuous process of analysis, adjustment and adaptation of policies and actions to reduce drought risk, including modifying the probability of a drought, reducing the vulnerability and enhancing the resilience. is book supports this transition by presenting the principles, framework and procedures that underlie a strategic approach to drought risk management. As water scarcity has increased globally, water allocation plans and agreements have taken on increasing significance in resolving international, regional and local conflicts over access to water. This book considers modern approaches to dealing with these issues at the basin scale, particularly through the allocation of water amongst administrative regions. Drawing on experiences from around the world, this book distils best practice approaches to water allocation in large and complex basins and provides an overview of emerging good practice. Part A includes discussion of the evolution of approaches to water allocation, provides a framework for water allocation planning at the basin scale, and discusses approaches to deciding and defining shares to water and to dealing with variability and uncertainty related to water availability. Part B describes some of the techniques involved in water allocation planning, including assessing and implementing environmental flows and the use of socio-economic assessments in the planning process. grow. However, many traditional approaches to river restoration are unsuitable for addressing the complexity associated with basin-scale restoration in heavily developed and contested river basins. Drawing on experiences from around the world, this book presents a framework for a more strategic approach to planning and implementing river restoration measures. The framework is designed to balance the multiple roles performed by river systems and to support river restoration that better aligns with the broader social, economic, and ecological objectives for a basin. 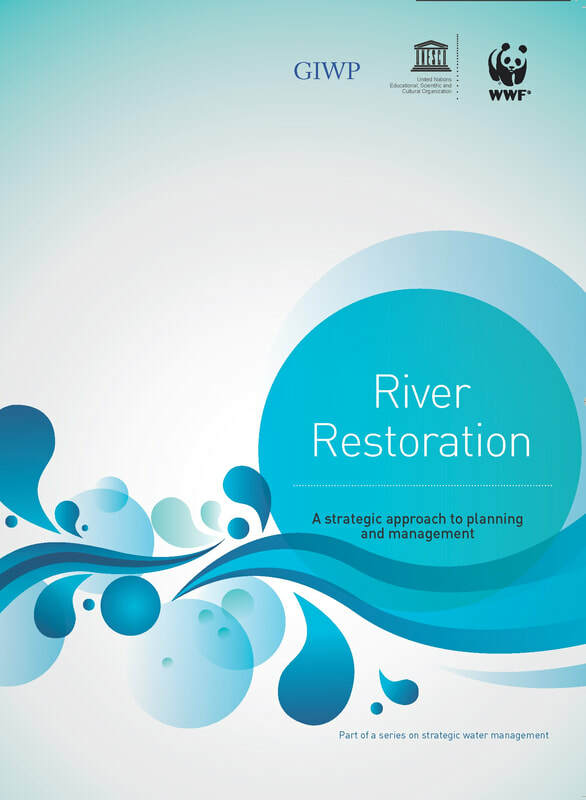 In addition to describing the history and evolution of approaches to restoration, the book considers issues including: setting restoration goals and objectives; assessing the costs and benefits of restoration measures; prioritising restoration measures; and restoring urban rivers. The guide to river restoration can be downloaded here. ​Further detail can be found on the WWF pages.